SM Cinema just dropped a bombshell with its "Reel-to-Real Experience" - an interactive exhibit featuring the upcoming film "Jurassic World: Fallen Kingdom" currently located in SM City North EDSA The Block Atrium. 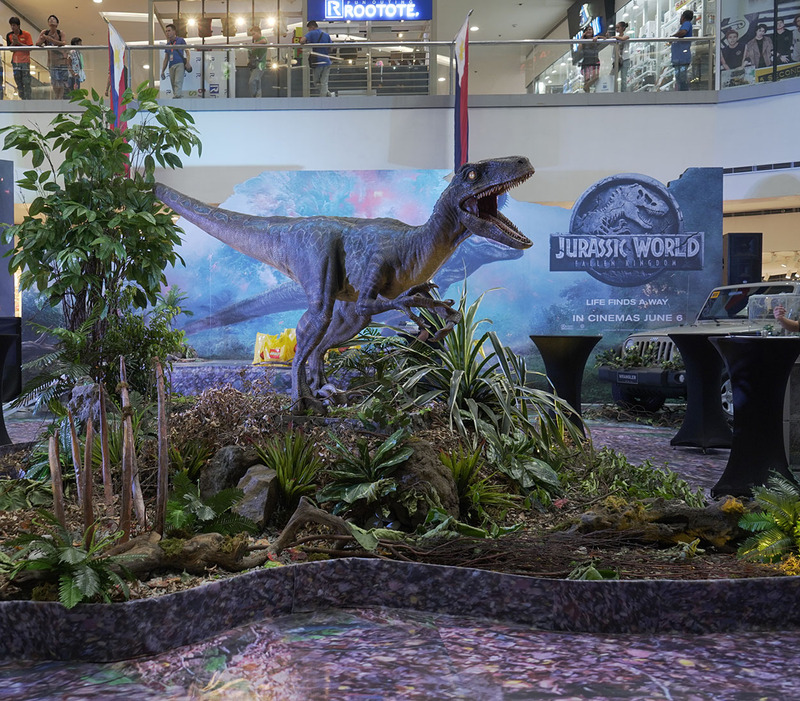 The interactive exhibit features dinosaur displays including lead raptor Blue. Yoiu can also test your Jurassic World IQ with various dino games and quizzes. And of course, top scorers get exclusive Jurassic World prizes. The exhibit is available from May 25 to June 10 at The Block, SM City Fairview from June 14 to June 21, SM City BF Paranaque from June 28 to July 8 and closing at SM City Clark from July 12 to July 22. Three years after the destruction of the Jurassic World theme park, Owen Grady (Chris Pratt) and Claire Dearing (Bryce Dallas Howard) return to the island of Isla Nublar to save the remaining dinosaurs from a volcano that's about to erupt. They soon encounter terrifying new breeds of gigantic dinos while uncovering a conspiracy that threatens the entire planet. Catch "Jurassic World: Fallen Kingdom" at IMAX, Director’s Club and SM Cinema branches nationwide starting June 6. Book your tickets now through www.smcinema.com or through the SM Cinema app available on the Apple App Store and Google Play.